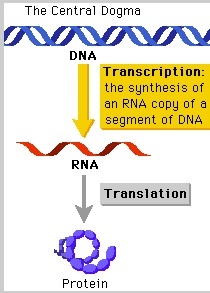 For young biology students the steps from genes to their function becomes a mantra: DNA makes RNA and RNA makes protein. But it is really not quite that simple. A few different types of RNA act along the path and we are now learning that the structure, or shape, of the individual RNA molecules affects their function. Which genes succeed in producing their designated protein determines what the cell actually does—what kind of tissue it is and how well it performs the role it is assigned. Switching gene function on and off turns out to be quite complex with players among the molecules that are part of the backbone of DNA as well as the various forms of RNA. We have made great strides in the past decade in understanding the role of those DNA structural components, the so-called epigenetics, but still have major gaps in our understanding of the many roles of RNA. With CIRM-funding, a team headed by Howard Chang at Stanford has gotten around a major hurdle in unlocking this complex issue. Like DNA, RNA is made up of various repeats of four molecules called bases. Prior to Chang’s work researchers could only track the structure of RNA associated with two of those bases. His team modified a commonly used bio-chemical tool called SHAPE to reveal the workings of all four RNA bases in living cells. The team verified something that is increasingly being shown, static cells frozen in time a lab dish do not necessarily reflect what goes on in living cells. In this study those differences manifest in the structure of the RNA that determines what molecules are next to each other, which impacts their activity. After more than 2 billion measurements of more than 13,000 RNAs in the lab and in living cells, the team quantified those differences and showed how this molecular “folding” changes the function of the various RNAs. Since so many of the research projects that seek to reverse the course of disease try to change the genetic functioning of cells, this new understanding should be able to reduce the number of blind alleys scientist have to go down to get a desired result. It should allow the design of studies based on more logic and less chance, speeding the development of therapies.